On February 27, 1972, Detective Sinclair and his partner, Detective Michael Irwin, were dispatched to a call where a tenant with a long criminal history was facing eviction that day. As the officers entered the apartment, the tenant burst through the door and fired several shots, two of which hit Detective Sinclair in the chest. 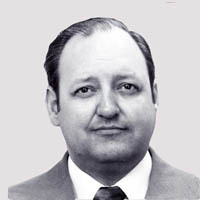 Detective Irwin was fatally shot in the head. Both officers died during surgery. The suspect was shot dead by responding officers.